On 24 February 2017, Siarhej Palčeuski chained himself to a truck to protest the construction of a business centre in the vicinity of Kurapaty – a commemoration site for the victims of the 1930s Soviet repressions. Palčeuski's great-grandfather was among the thousands of Belarusians who disappeared in 1937. In 2014, the Belarusian authorities re-drew the boundaries of the protected area surrounding Kurapaty to accommodate several construction projects. Belarusian civil society and oppositional activists argue that the state is thinking only of profit, disregarding transparency, public discussion, and proper historical research. When the construction of a business centre in the contested area began in February 2017, protests flared up immediately. Local residents and civil society activists confronted workers on the site, setting up a 24/7 watch to protect the memorial. Kurapaty is the site of NKVD-led mass shootings in a forest on the outskirts of Minsk, where thousands of Belarusians perished as a result of the Stalinist purges in the 1930s. Belarusian society learned the truth only in 1988, after Zianon Pazniak and Yauhen Šmyhaliou published the article 'Kurapaty – the Road of Death.' It sparked the first anti-Soviet mass demonstration in Belarusian modern history. Kurapaty continue to feature prominently in Belarusian national discourse – every year the traditional Dziady demonstrations head there to commemorate the victims. However, Belarus has yet to recognise the true scope of the Soviet-era crimes. Even though the authorities of independent Belarus granted the status of memorial site to Kurapaty as early as 1993, its history remains under-researched. The current political regime is reluctant to discuss Stalinist repressions. The school curriculum does not focus on the Great Terror at all, while historians are still denied full access to relevant archives to reveal the whole truth of the Kurapaty tragedy. Thus, the exact number of victims remains unknown. Historians estimate that anywhere between 40,000 and 250,000 were killed there. Due to the lack of proper archaeological excavations, it is equally hard to determine the boundaries of the mass shooting and burial site. The current construction controversy surrounding Kurapaty is not the first of this kind: 15 years ago, opposition activists held a 24/7 watch of Kurapaty in a tent camp for 8 months. From September 2001 to June 2002, they protested against the ring road project, which was to cut right through the memorial site. They erected wooden crosses to mark the site and eventually managed to divert the highway away from Kurapaty. The site continues to suffer from vandalism, while the authorities remain indifferent, consistently trying to extract profit by selling adjacent land plots. For instance, in 2012, Minsk city authorities approved the construction of an entertainment centre bearing an insulting name, “Bulbash-Hall” ("Bulbash" is an epithet for Belarusians), in the protected area of the memorial site. As the controversy over the inappropriate project was intensifying, the Ministry of Culture started re-drawing the boundaries of the protected area around Kurapaty, cutting it down from 100 to 50 metres. It ignored criticism from historians and civil society and proceeded with the construction of the entertainment centre. However, even though the project was completed in 2015, it remains closed. The current conflict in Kurapaty originates in 2013, when Minsk authorities auctioned the land plot in question. At that time, it was still located within the boundaries of the protected area of the memorial site. Any construction required consultations with the Ministry of Culture, as well as the public, but this did not take place. The person in charge of the construction company, Ihar Aniščanka, is one of the most successful Belarusian real estate moguls. In a comment to Radio Svaboda, he claimed that his company was acting according to the laws and permits granted by city authorities. Construction commenced on 17 February. When local residents raised the alarm after seeing the workers, leader of the Young Front Zmicier Daškevič launched a campaign to protect Kurapaty from a new incursion. However, on the night of 23 February, a group of 15 masked individuals attacked the tent camp, harming one of the activists, Ales Kirkevič. Tensions resumed again on 24 February, when another group dressed in black provoked a fight with the activists. So far, the Young Front activists enjoy support from local residents, civil society groups, the Belarusian Christian Democrats, the United Civil Party, and the movement For Freedom. A leader of Tell the Truth, Andrej Dzmitryeu, supported the campaign for Kurapaty, yet hesitated to confirm his party's active participation. Belarusian social-democrats remained aloof, claiming they were not invited. The head of the Belarusian Voluntary Society for the Protection of Historical and Cultural Monuments, Anton Astapovič, noted that business centre construction violates the law 'On the Protection of Historical and Cultural Heritage.' Astapovič has already sent complaints to the KGB and the Main Construction Expertise Agency. He questioned the legitimacy of the current project, suspecting corruption. The Roman-Catholic archbishop Tadevuš Kandrusevič also made a statement on the current conflict over Kurapaty, commenting that the roots of the controversy lie in the lack of sufficient research and a clear delineation of the burial boundaries. He called for an open dialogue between officials, local residents, and civil society to avoid further escalation. Independent researchers and civil society activists have been leading the way for greater public awareness of Kurapaty. On 22 February 2017, in the midst of the newest construction conflict near the memorial, the civil society initiative Experts for the Protection of Kurapaty opened an exhibition entitled 'The Truth About Kurapaty' in Minsk. A follow-up to the first such exhibition in 2015, it showcases rare oral history testimonies and focuses on identifying victims and perpetrators. It is up to the authorities to de-escalate the unfolding tensions surrounding Kurapaty. Incidentally, on 24 February, the major official newspaper Belarus Segodnia held a round-table discussion on the need to turn it into a national memorial, dedicated to the victims of Soviet repressions. The outcome of the current construction controversy will prove whether these debates represent serious intentions or yet more empty promises. A palpable liberalisation is evident in the Belarusian state press with regard to politics and the economy in a context of threatening moves from Russia. A major official newspaper writes about an opposition-led protest in a neutral tone for the first time in decades. Lukashenka meets with the chief editor of the oppositional newspaper Narodnaja Volia. Russia instals a border with Belarus after 20 years of free movement. Belarusian food producers see 'irreversible losses' because of Russia’s restrictions. Mass protests in Minsk call for abolition of the 'parasite tax'. An unsanctioned protest by Belarusians demanding that Decree No. 3 be abolished was held in Minsk, writes Belarus Segodnia. 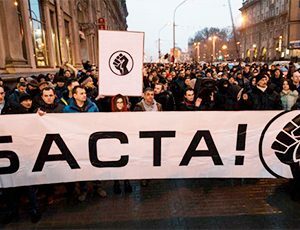 Participants gathered on Kastryčnickaja Square and marched along Independence Avenue to the headquarters of the Tax Ministry, where they made their demands known to the authorities. The march ended with the burning of tax notices. No incidents took place during the protest. Belarus Segodnia republished this news from the state-funded Belta news agency, making the story the first time in decades that a major official newspaper writes about an opposition-led protest in a neutral tone. Other official publications stayed silent about both the protests in Minsk and the ones which followed in the regions two days later. Lukashenka meets with chief editor of oppositional newspaper Narodnaja Volia. An hour and a half long tete-a-tete took place in the Palace of Independence in Minsk, reports Belarus Segodnia. Iosif Siaredzič, chief editor of Narodnaja Volia, asked Lukashenka for a personal audience during a recent 'Big talk with the president'; Lukashenka replied positively and the meeting occurred shortly thereafter. Ahead of the talk, Lukashenka stated that he was ready to discuss any issue but counted on unbiased coverage of the talk in the media. Siaredzič chose not to reveal the details of the talk. However, he did explain that he was satisfied, as the talk appeared to be open and sincere. 'The president is worried about the developments in Belarus. Today we should all think of how to prevent any disasters from shattering our country,” Siaredzič said. Russia reinstates border with Belarus after 20 years of free movement. On 7 February, FSB-introduced regulations regarding the Belarusian-Russian border zone came into effect, writes Narodnaja Hazieta. Over the past 20 years, citizens of Belarus and Russia have been able to visit each other without border checks. However, the risk of terrorism and the growth of migration have pushed Russia to re-establish the border, according to Russian officials. The Russian side regularly detained persons banned from entering the country on the border with Belarus. Citizens of Belarus will only need a valid passport to enter Russia. The border zone now has a special status, and Belarusians who wander into Russian territory while searching for mushrooms, which often happens, could be detained and asked to show their documents. Meanwhile, citizens of Ukraine, Georgia, the Baltic countries, and Poland, who frequently enter Russia via Belarus, will have to change their routes, as they can now only enter via international checkpoints in Latvia, Ukraine, or through airports. The state to reduce control over business. The government is drafting a law which will make doing business in Belarus easier, Respublika informs. This move followed Lukashenka's demand that the authorities stop endless inspections of small and medium businesses. 'The focus should be on the outcome, not on the inspection as such. If the company is working and paying taxes, leave the people alone, let them do business,' the Belarusian leader said. Newly opened companies will enjoy the absence of any inspections during a period of five years. Currently, the excessive number of procedures and requirements from the state remain one of the major obstacles hampering the development of entrepreneurship. While some people do not even dare to start their own business, others work illegal to avoid state control and over-regulation. Belarusian food producers see 'irreversible losses' because of Russian restrictions. Belarusian exports are being banned as relations with the Russian food control agency rapidly deteriorate, reports Sielskaja Hazieta. In January, the agency labelled 40 food items 'suspicious', and recently introduced additional restrictions aiming to mitigate the 'risk of African swine fever'. Russia claims that it has detected swine fever on the border with Belarus several times in 2014-2017, while inside Russia 250,000 pigs have been killed because of a pandemic in 2016. Belarusian experts claim that the quality of local meat and dairy fully meet Customs Union standards. Belarusian food exports to Russia amounted to $2bn in 2016, going mainly to Moscow and Saint Petersburg. Some foodstuffs bring even more profit than oil production exports. Without the Russian market, however, Belarusian producers face 'huge and irreversible losses'. Belarus starts production of 3D printers. Respublika writes that the technology park of the Belarusian National Technical University has started production of 3D printers to be used for industrial and food purposes. The technopark plans to produce 50 printers a day by 2018. The producers plan to instal printers in most Belarusian plants as well as schools. One Belarusian printer now costs around $1,000. Future plans include the creation of an 8-metre tall 3D printer for constructing buildings. The university is currently developing concrete that can be used for this purpose. Discussion surrounding the International Congress of Belarusian Studies emerges in a national newspaper. Belarus Segodnia publishes a letter from Andrej Kazakievič, director of the Political Sphere Institute and head of the organising committee of the International Congress of Belarusian Studies. Kazakievič's letter was response to an article by the newspaper's columnist Andrej Mukavozčyk, who accused the Congress of leeching funds from the EU and attempting to influence public opinion in the interest of foreign parties. Kazakievič replied that the Congress is a unique event where researchers from Belarus and all over the world present a diversity of opinions without censorship. Inside Belarus, dozens of conferences of state institutions with participation of top officials are also held annually with the support of Western donors. In this regard, the Congress is hardly different from any other international conference, including official Belarusian ones, which also seek foreign financing.